I'm excited to be hitting the road soon, but I'm sad to be leaving friends here in Houston. Jessi of Outbound Adventurer and I have been camping and hiking in Texas state parks and other public lands since 2010, and this past weekend was our last chance to explore together in the scenic Texas Hill Country. With the Veterans Day holiday weekend upon us, many of the state parks were booked, so we turned elsewhere. Pace Bend Park, maintained by Travis County, boasts 400 primitive carside sites with no reservations required, so we headed that way. Located on the sparkling Lake Travis, the crowd favorites at Pace Bend are swimming on the lake's beaches and cliff jumping. It was cold to go swimming, and the lake was too low for jumping, so we just looked. It was so pretty that this was good enough for us. The craggy limestone cliffs stairstepped down with boulders, offered a fun challenge as we made our way from the road above to the beach below. We saw evidence of boating — boat ramps and a moored sailboat — but the season wasn't right for the popular activity. 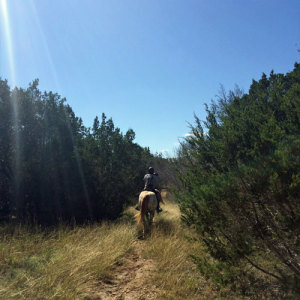 We did take extensive advantage of the interior of the park, which is a wildlife preserve and is full of multiuse trails for hikers, mountain bikes and horses. During our visit in early November, the trails were quiet. We only ran across a few other groups. Most of the time, the trails are lined with wonderful-smelling juniper, cacti and occasional power lines. Every now and then, the trail gains enough elevation to reward hikers with a view of the lake below. Wildlife viewing is an activity park visitors almost can't avoid. After waking up to the screech of a red tailed hawk, we were treated to sightings of numerous songbirds, evidence of deer, coyote yips, and the sounds of owls and water fowl. 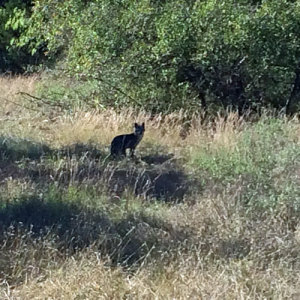 A highlight of the trip was seeing this beautiful fox at the end of our 7-mile hike. 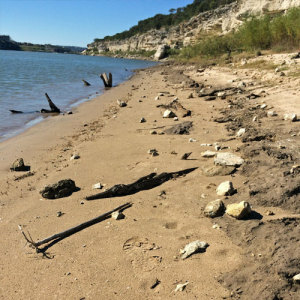 Pace Bend has 20 improved carside campsites fit for RVs or tents. They include water and electricity and are privy to showers and bathrooms with running water. While they're close to the designated swimming areas, they're not far from each other, and there isn't much foliage to provide privacy between them. We chose to set up our temporary home in one of 400 primitive carside sites. They may be designated as primitive, but they still include a fire pit and concrete picnic table. Some even have a barbecue grill. 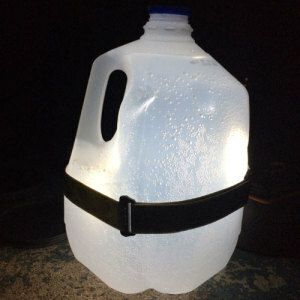 Because you can keep your car right by your tent, it's easy to stay hydrated with spare water jugs in the car. We didn't even have to hang our food bag. We were impressed with the privacy offered by many of these sites. The Texas Hill Country may be best described as "scrubby," but perhaps because of the lake, the greenery was far more lush than we were used to. From our campsite, we could see a few houses across the lake and hear neighbors up the hill, but we were otherwise completely secluded. Our site was large enough for two tents, but since we only had one, we felt like queens. Pinterest victory! We used a headlamp to make a lantern. 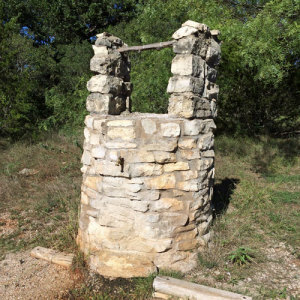 There are composting toilets without running water scattered throughout the park available for all visitors. In addition, there's a convenient spot to fill up your bottles with city water. Pace Bend is one of the few parks in the area that is currently permitting ground fires (this is subject to change), so we took advantage of this during our stay. Unfortunately, not all campers are aware of fire safety, because we spotted this abandoned (but still smoking) fire ring on our way out. 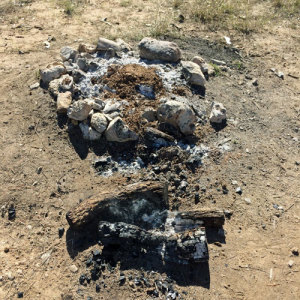 Make sure you fully extinguish your fire before you leave your campsite! Only you can prevent Texas Hill Country fires! Close to Highway 71, there are several convenience stores, gas stations and restaurants within 5 miles. You won't have to worry about running out of food or fuel while here. 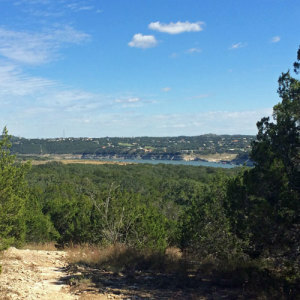 Located just 35 miles outside of Austin, Pace Bend isn't far from civilization. Just across the lake are houses, docks and even hotels. Pace Bend itself shares an entrance with a Girl Scouts camp and a Baptist retreat center. If you're looking for a pristine environment, this isn't it. The price is reasonable, though: $10/car for day use, $20/night for an improved campsite, and $15/night for an unimproved site. Your permit gains you entrance to other Travis County parks like Hamilton Pool Preserve and Hippie Hollow Park for a reduced fee of $5 (rather than the usual $15), so take advantage of this while you're in the area. 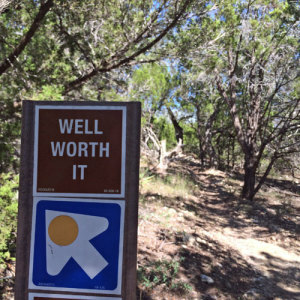 In the end, we found Pace Bend Park a pleasant escape, thanks to its several miles of multiuse trails and pretty vistas of Lake Travis. 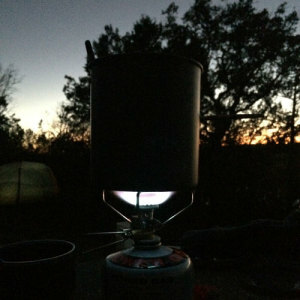 The rangers were unobtrusive, many of the campsites are secluded and it's close to several other gorgeous state parks. So long as you're okay with the lack of amenities and your proximity to the suburbs, this park is a great place to spend a quiet weekend. 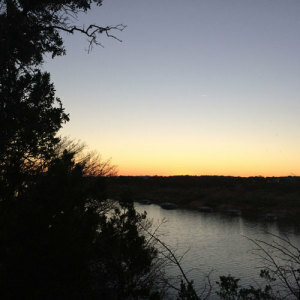 Have you spent time at Pace Bend Park or on Texas' Lake Travis? 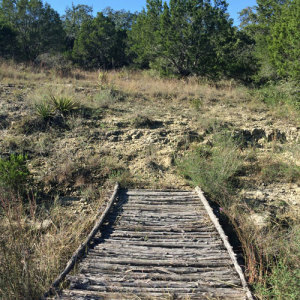 What are your favorite areas to explore in the Texas Hill Country?